The SEC Best Interest Rule (“Reg. BI”) has three parts. The first part requires a broker-dealer to act in the “best interest” of a client investor. This new standard would require suitability determinations, disclosures of “key facts” that may suggest conflicts of interest, and further compliance obligations. The second part provides additional interpretive guidance for advisers who have fiduciary obligations to investors under law. The third part requires that both broker-dealers and investment advisers provide a new Client Relationship Summary (“CRS”) to retail investors. The CRS highlights key differences between investment advisers and broker-dealers, based on the types of services offered, and delineates legal standards of care. The short form also defines certain terms that may confuse investors (e.g., the difference between “adviser” and “advisor”) and restricts their use. She contended that using such terms may not only be confusing, but may actually prove to be “harmful” to the market and to investors and ultimately may cost more. Commissioner Peirce recommends an alternative whereby a new rule would be built on the foundation of the current "suitability standard," which has proven to be both understandable and effective. Further, she argued, any standard to be imposed on broker-dealers should be explicit and not implied. SIFMA's proposed detailed modifications to the rule could, if implemented, harmonize certain definitions with FINRA, such as the definition of a “retail customer.” Further, SIFMA suggested clarification and guidance on certain disclosures and other obligations, including “material conflicts of interest.” SIFMA also recommended the adoption of “a simplified and more flexible approach” for the Proposed Form CRS. A contrary position on Reg. BI was voiced by Senators Elizabeth Warren, Sherrod Brown and Cory Booker in a letter to FINRA President Robert Cook on July 20. They asked him to provide FINRA's interpretation of the SEC's proposal. 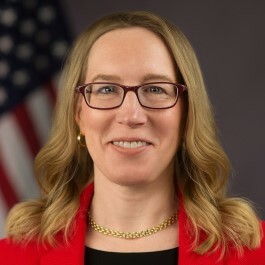 They raised concerns that the proposed standard “is long, complicated, and, in some important ways, ambiguous…[and that] SEC Commissioners themselves disagree about whether it is similar to the DOL rule and "definitely a fiduciary principle," or whether it "essentially maintain[s] the status quo." These reactions represent round one in the battle to develop acceptable standards for broker-dealers and advisers. Many of these positions are extensions of long-standing disagreements voiced during the fights over the DOL fiduciary rule. But the spectrum of opinions presented by these comments will serve to frame the rounds to come – and, in the end, may lead to some new (and possibly some old) approaches on this hotly debated issue. Bates will keep you apprised.